Coaching is where You and I work together one -on-one to get you feeling more comfortable in your gluten free and/or casein free diet. Why would you need coaching? You or a loved one have been diagnosed with Celiac Disease or your healthcare provider has determined that you need to restrict gluten and/or casein from your diet. You feel overwhelmed at the thought of tackling this change and seek guidance in how to remove these from your diet. You have decided that based on your own research that you need to avoid gluten and/or casein in your diet and seek guidance in how to remove these from your diet. You have been managing your gluten free and/or casein free diet for awhile and feel like your 'stuck in a rut'. You want to reinvigorate your life with a sense of pleasure around food and just don't know how to get there. You are currently on a gluten free and/or casein free diet but just aren't feeling the benefits. You want an outside pair of eyes to examine and refresh your diet. A month can make a world of difference. My Coaching is about starting where you currently are and moving you forward with hope and optimism, with a better perspective on your relationship with food. It's about what works in your life. With the time you have, the dishes you like, the particular recipes you miss. It's about moving you to a point of acceptance with a "YES I CAN!" attitude. It's about re-establishing a sense of joy over food. With food coaching, we work together to enable you to plan healthy delicious meals; to shop for and prepare great food; to find and to alter recipes as needed; to improve your intestinal health. Coaching is completed when you feel that you are prepared to take on these challenges with confidence. This can be as little as one month or as long as several months. Depending on your needs, location, and budget, there are a couple of ways coaching can work. How do I get Coaching? You contact me either by phone or through e-mail to discuss your restrictions and your needs. If we both feel that coaching from me would be beneficial, we sign a simple start-up coaching contract and begin to create a plan. It is important to work around your schedule. I will provide you with a questionnaire about your dietary restrictions, your likes and dislikes food wise, etc. I will research and formulate a plan for the month. Then we get together for a pantry clean out, farmers market shopping, meal planning, grocery store guided shopping, and anything else you may need. The first 2 weeks we meet in person. The second 2 weeks we have a phone call or e-mail chat session. Below is a map of my coverage area. Please call to see if arrangements can be made if you live outside the coverage area. Do you have a family favorite that you just can't seem to alter to fit you or your loved ones gluten free and/or casein free diet? Is there a restaurant you loved but isn't completely safe to eat at anymore, but you want to copy one of their dishes at home? Is your child or spouse requesting a special dish, yet you have no idea how to make it or where to begin? Perhaps you want to surprise your gluten free and/or casein free loved one with a new refreshed version of an old classic. 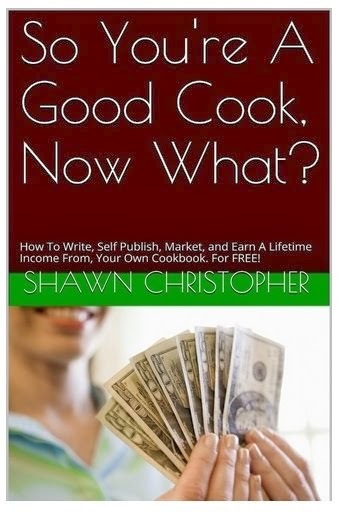 Most times I can alter or create a recipe successfully for you, then explain it to you as we make it together. Explaining why each substitution, deletion, or addition was made so you can use the knowledge and skills in the future on your own. Due to the fact that recipe alteration often takes multiple attempts to get the perfect texture and taste, the price for this service varies depending on the ingredients and difficulty of the recipe itself. Contact me to discuss recipe alteration and creation services. Classes are offered either one-on-one or in a small group (examples of a small group are.. A Family, a small social club, around 4 to 8 people) . Classes are personal instruction in your own kitchen on cooking a gluten free and/or casein free recipe or meal. Classes are $50/hour booked in 2 hour blocks. (ingredients provided by you) Some may wish to book an additional block of time for an in store grocery shopping class, we can easily fill 2 hours navigating the grocery store aisles learning to read labels and find gluten free necessities for baking and cooking. This Service is for restaurants and food vendors that want to add a safe gluten-free menu but may not know where to begin. Perhaps your restaurant already has gluten-free menu items and you would like to know if you and your staff are taking all the necessary precautions to insure against cross contamination of your gluten-free foods. Do you need a consultation? Yes. Any food service business that is cooking and serving gluten free foods and foods that contain gluten, in the same establishment, could benefit from a consultation. Protecting your customers and insuring that they become repeat customers is what it's all about. It takes just one Celiac patient to get sick eating a "gluten-free" meal at your business to spread the word and put a dent in your bottom line. The minimum investment for a consultation for restaurants that already have gluten-free dishes on the menu takes approximately 5 hours over a 3 day period at $50/hour ($250). The first 2 days are spent observing. I will come in during breakfast, lunch, or dinner and quietly and unobtrusively observe the storage, preparation, handling, and serving of gluten free dishes. The final day will consist of a 2 hour consultation, pointing out areas of concern as well as things that are acceptable as is. Wouldn't it be worth it even if you found out that you are doing everything right and your gluten-free customers won't be getting sick from your food? A more detailed consultation for restaurants that wish to add gluten free items to their existing menu is also available. A minimum investment for this type of consultation is 12 hours at $50/hour ($600). This consultation takes place over a one week period. It consists of 10 hours of service for the first 3 days and 1 hour per day for the next 2 days to cover questions and adjustments. This service covers everything from purchasing product to storage, handling, and preparation. This service also covers assistance with recipe creation if needed and staff training. I am available for wine tastings, dinner parties, and lectures. Please contact me for pricing.